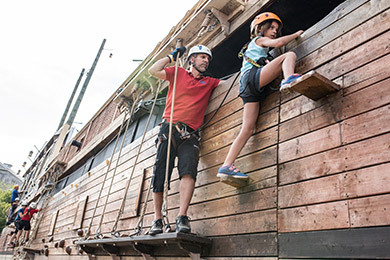 Come to Voiles en Voiles adventure park with your school group or your day camp. 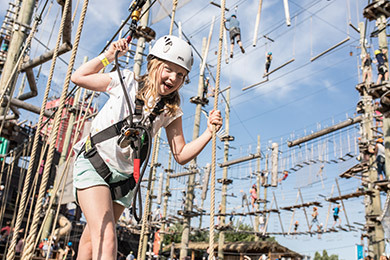 The groups have access to all games for a duration of 2 unlimited hours: 10 aerial courses, zip lines, climbing wall, big-themed inflatable games and carrousel. If you want to book a day or if you have a question, contact us! Enter royal ships and pirate ships of the 18th century and discover our universe! ... and have fun with us! 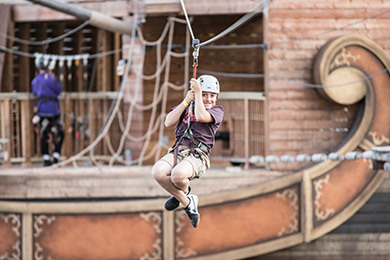 The package includes 2 hours of unlimited access to all the activities offered by Voiles en Voiles. 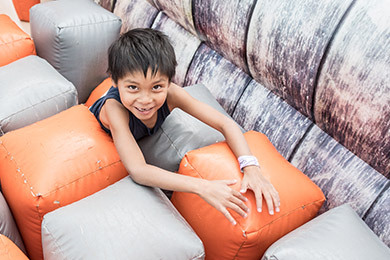 Participants can therefore stay all the time in the air routes or divide their time between the activities. 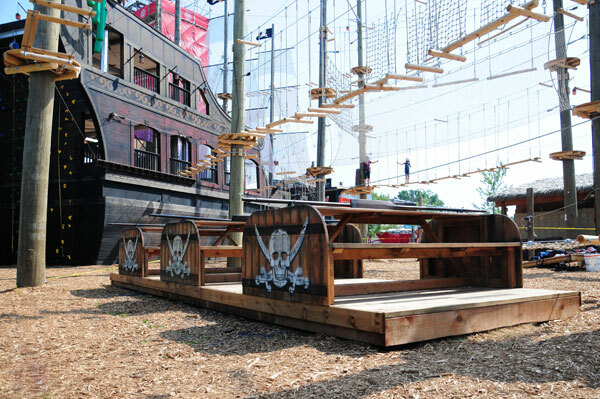 We have an area with picnic tables that can be booked if needed. Take note that we have no space inside in case of rain. 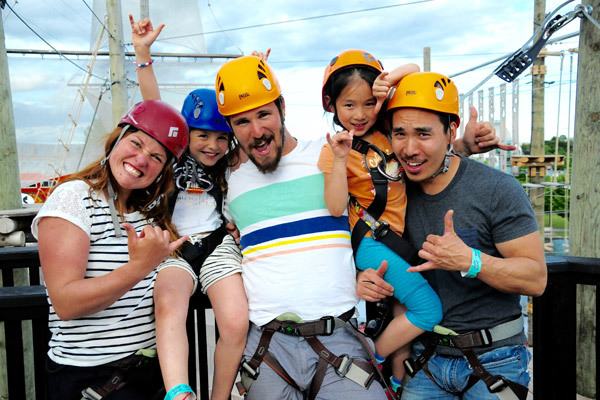 The group activity lasts 2 hours, but we recommend planning an additional 30 to 60 minutes to cover the time required to put the equipment, the explanation of the safety instructions and the explanation of the different activities you can find on the site. Groups have access to all games for a duration of 2 hours unlimited. 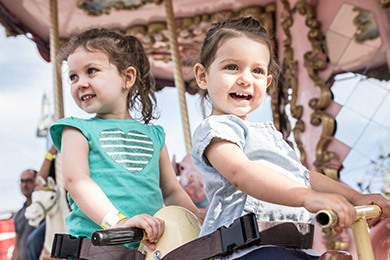 1 free adult for 20 children. 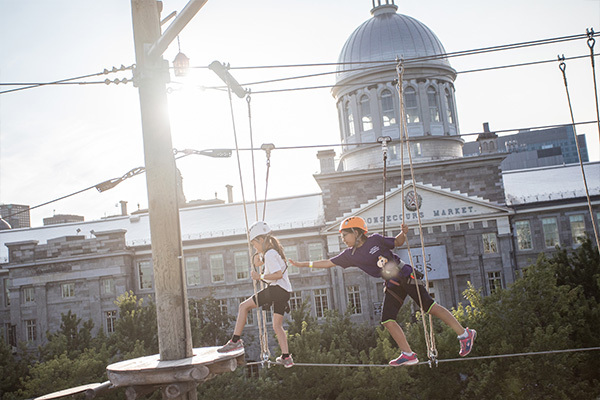 Possibility of making a combo with other activities of the Old Port of Montreal: SOS Labyrinthe, MTL Zipline, Center of Sciences, IMAX, Quadricycles and pedalos, more. Group of 20 people minimum. Valid from Monday to Friday. Mandatory reservation. Reserved area for storing personal belongings. 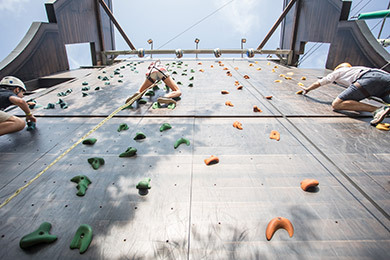 Participants must wear shoes and sportswear in order to fully enjoy the activity. The release form must be completed and signed by a parent for each child. 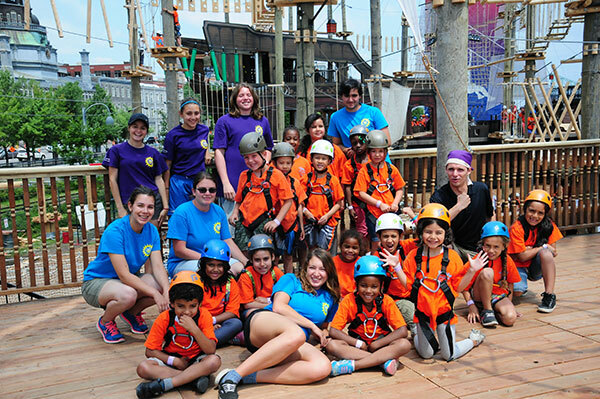 To learn more about our winter group rates, visit our winter activies page. Voiles en Voiles remains open if there is a light rain. In case of bad temperature announced, we will contact you 48 hours in advance, to have the chance to find a solution (moving or refund). Is there space for eating? Not necessarily. 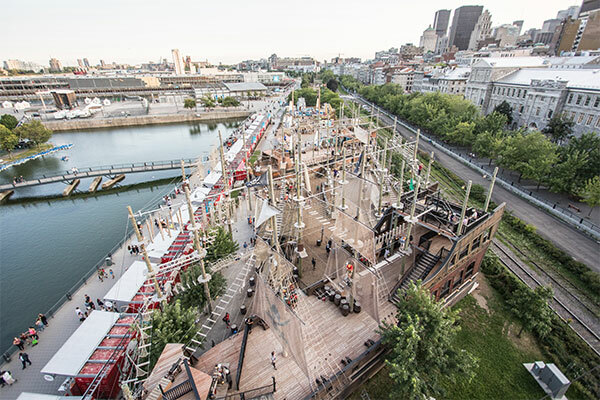 Access to the Voiles en Voiles site is free so accompanying persons can be on the site and supervise the young people without necessarily participating. Very safe! We have staff at each course that tie and detach the youngsters. Our lifeline is continuous, and that means that young people never have to manipulate the material, making the activity extremely safe. We also have a patrol team ready to intervene at any time.